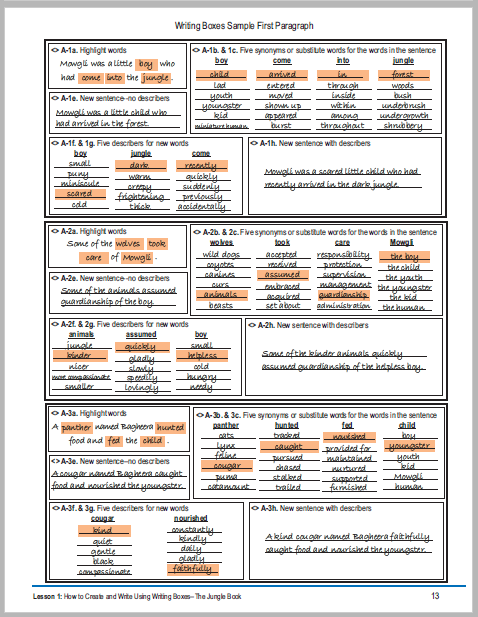 “This week will you will be writing a report over given material. 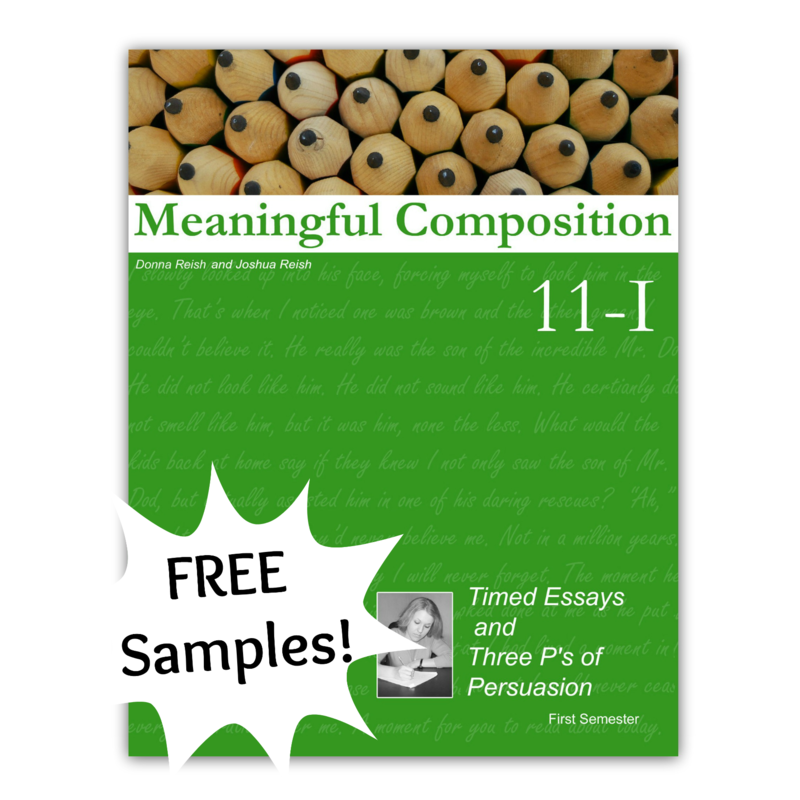 That is, you will not find your own material to write from, but you will use material provided for you in this weekly lesson and take an S-by-S (Sentence-by-Sentence) Outline over this passage. 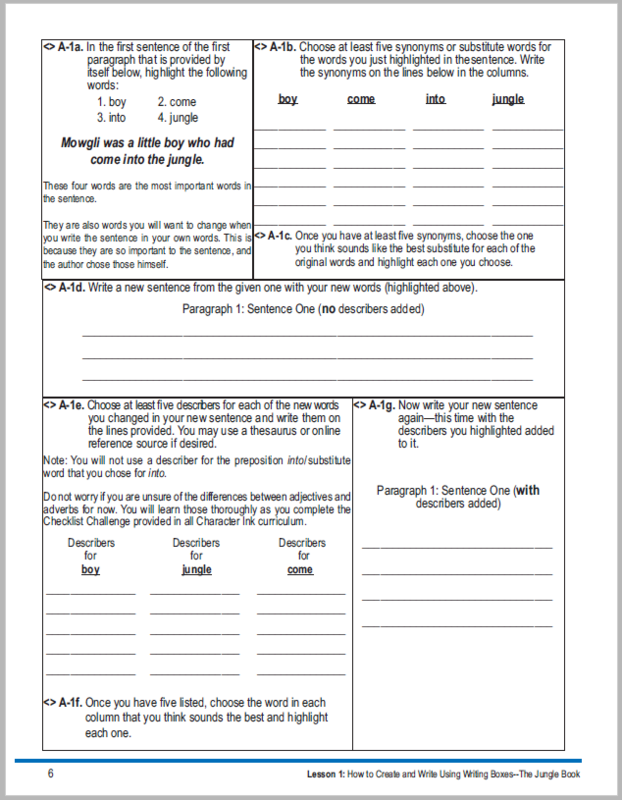 This amazing approach takes each sentence from a four paragraph story and breaks those down so that students determine the most important words of each sentence for note taking then write from their notes to come up with four pain-free, creative, fun paragraphs. 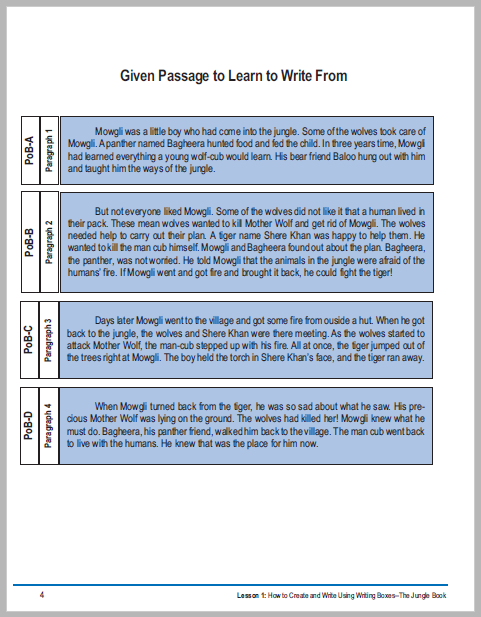 Each sentence has its own page of writing boxes in which the student finds important words, outlines, writes the sentence, chooses describers and other strong words, embellishes the sentence, and then comes up with an outstanding final sentence. 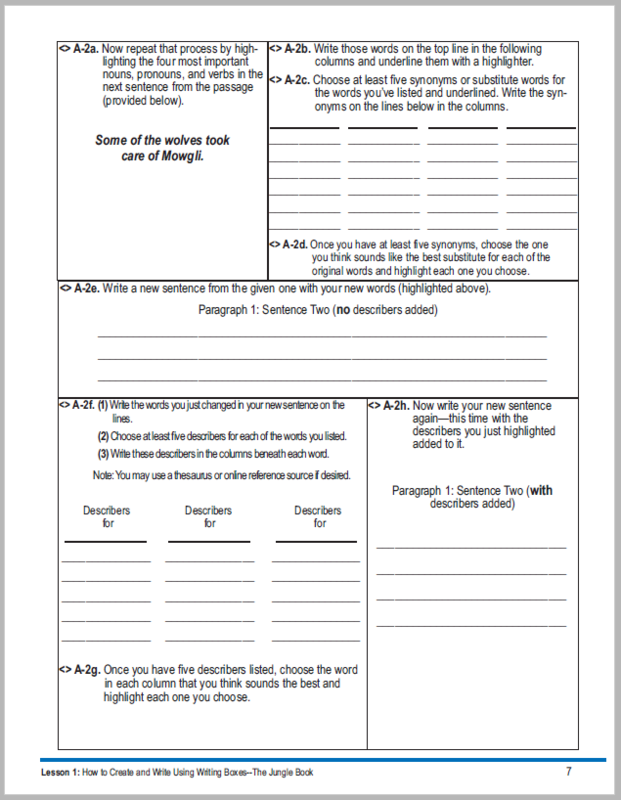 The product contains over fifty pages of these writing boxes, including suggested answers in an easy-to-follow layout for teachers and parents. 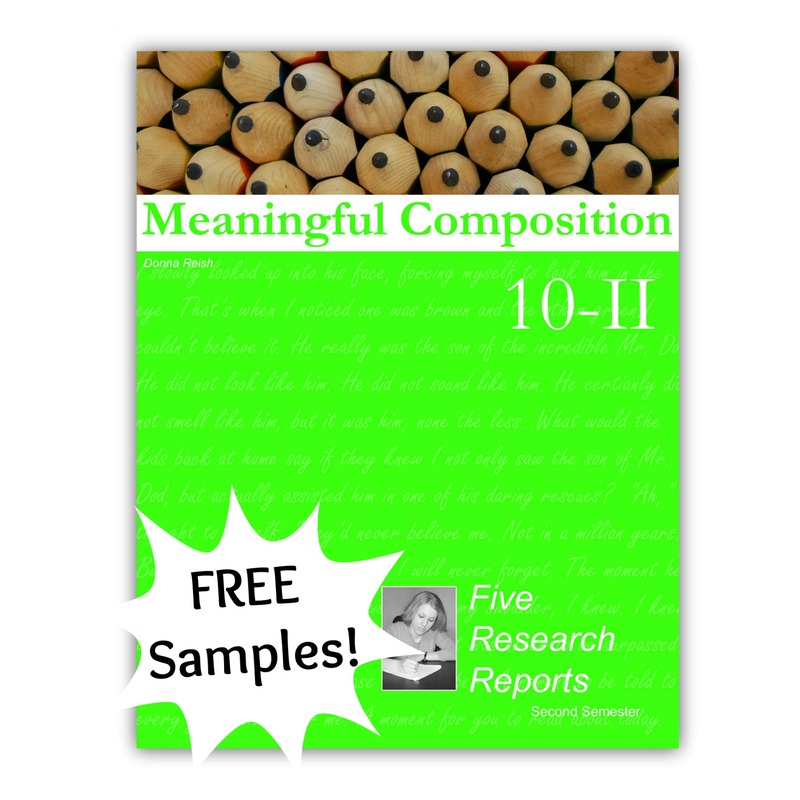 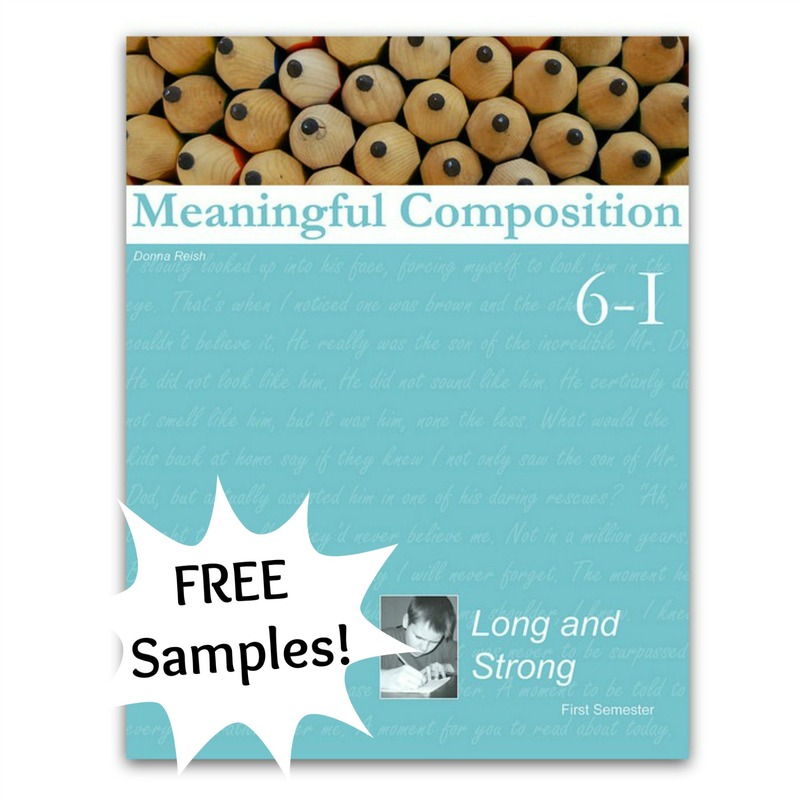 Students love our writing boxes—and they yield amazing results for writers of various levels! 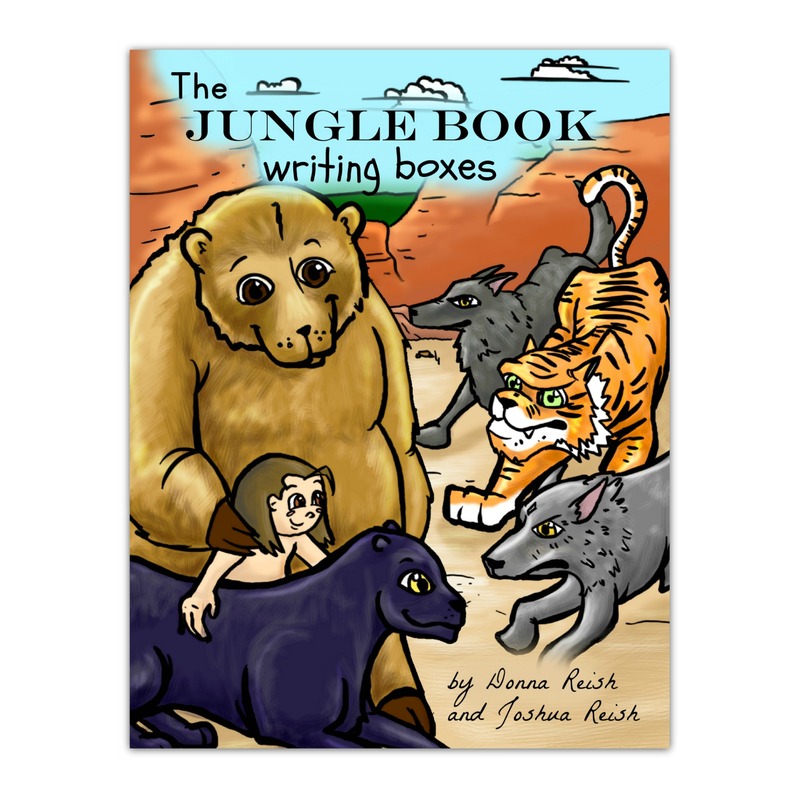 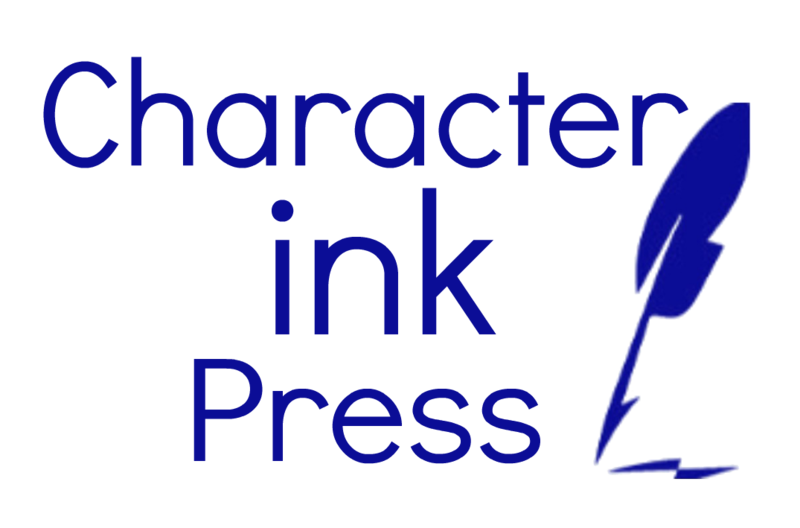 *Watch the Character Ink Press store and other vendors for our new five-book composition series about The Jungle Book: Write On, Mowgli (Levels I through V—elementary through high school)!